"Unsurprisingly, Republican leadership did not hold hearings on the Articles of Impeachment, H.Res. 438. On January 2nd, the 115th Congress ended, thus terminating all legislation that had been introduced earlier and had not been enacted into law. Accordingly, it's necessary and appropriate to reintroduce the Articles of Impeachment. I have not changed the text. I continue to believe that Obstruction of Justice is the clearest, simplest, and most provable high crime and misdemeanor committed by Donald J. Trump," Sherman said in the press release. Sherman added that he hopes the articles of impeachment are the subject of hearings before the Judiciary Committee early in 2019. "I understand that a majority of our Democratic Caucus will want to wait until Special Counsel Robert Mueller completes his report, which I would hope will be issued in the next two to three months," the congressman said. 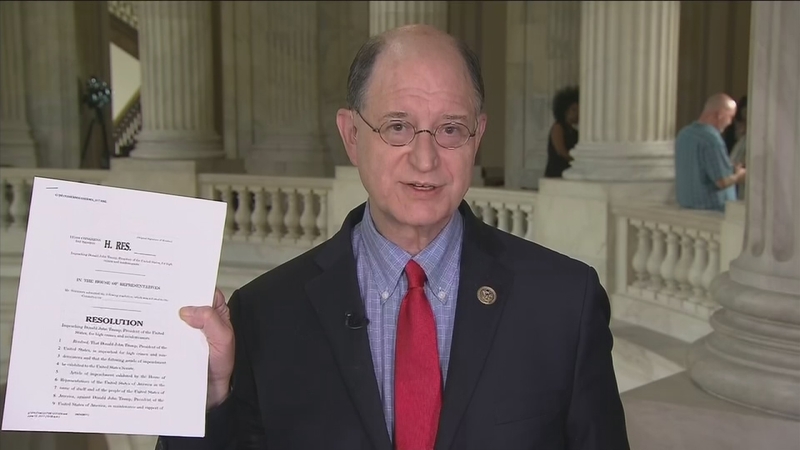 Congressman Brad Sherman, D-Sherman Oaks, announced Wednesday that he and another congressman have filed an article of impeachment against President Donald Trump. Sherman initially filed articles of impeachment back in July 2017, saying Trump obstructed justice in the Russia investigation. The impeachment articles come as the House and Senate gaveled into session Thursday swathed in history, returning the first woman to the speaker's office and ushering in a diverse class of Democratic freshman lawmakers ready to confront President Donald Trump in a new era of divided government. The 116th Congress is poised to be like none other. There are more women than ever before, and a new generation of Muslims, Latinos, Native Americans and African-Americans in the House creating what academics call a reflective democracy, more aligned with the population of the United States. The Republican side in the House is still made up mostly of white men, and in the Senate Republicans bolstered their ranks in the majority.